Radial seal ring assemblies are used to seal the clearance between a rotating or reciprocating shaft and the stationary housing on many types of machines. 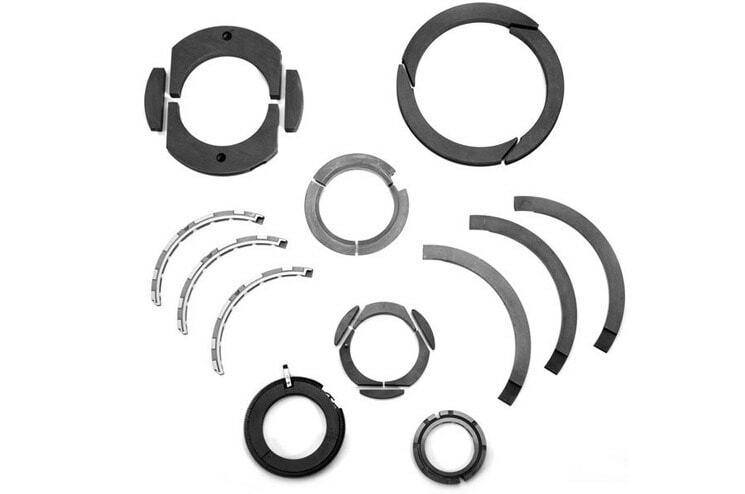 Carbon/graphite radial seal assemblies were developed to help solve serious wear, thermal degradation, chemical attack, and dimensional stability problems that occur when materials such as leather, plastic, composite, or elastomers are utilized in the stuffing box seals installed on industrial blowers, pumps, and other turbo machinery. To accommodate some anticipated movement in a reciprocating or rotating shaft such as thermal expansion or runout, carbon/graphite radial seal rings are normally designed to float with OD clearance within a chamber in the stuffing box. This allows a close clearance seal to be maintained between the OD of the shaft and the ID of the carbon/graphite seal ring. Leakage around the OD of the carbon/graphite seal ring is minimized by using a close clearance between the width of the carbon/graphite seal ring and the width of the metallic seal housing cavity. 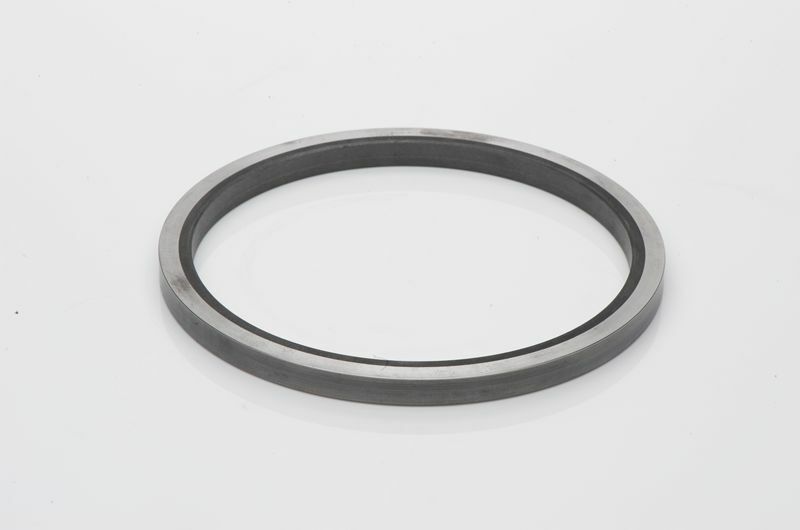 Close clearance carbon/graphite seal rings are singular solid rings that are made to fit with close clearance on the OD of the rotating or reciprocating shaft. If the shaft is expected to undergo thermal expansion, the carbon/graphite ring should be shrink-fitted into a metal retaining ring. This affords the carbon/graphite/metal assembly the same thermal expansion rate as the shaft allowing the close clearance between the shaft OD and carbon/graphite seal ring to remain stable, even at high temperatures. Contacting carbon/graphite seal rings are made from at least three segments and are tensioned onto the shaft with a garder spring around the OD of the segments. Usually a set of two rings with mutually off-set joints are placed in each cavity of a stationary, metallic holder. The garder spring holds the segments against the shaft OD with a pressure of about 2 psi. Multiple sets of segmented carbon/graphite ring can be used to seal gas pressures up to 800 psi.